When you buy fur in Chicago , there are countless ways to style it to achieve a variety of looks. Whether you want to dress it up or dress it down, the right accessories make it easy to change the entire feel of your fur. Pair a colorful fur jacket with a pair of framed denim jeans, a low heel, and a colorful purse that complements the hue of the coat for a fun daytime look. If you want to go for a more formal style, you should wear a sparkly dress or shirt beneath your fur, add some fashion-forward handbags, and a designer purse. You can also find fabulous fur accessories like hats, scarfs, and vests to enhance the rest of your wardrobe. Check out this video to get some more fur fashion tips. Without the proper storage, your fur will lose its luster and appeal. Since it is a natural material, it must be kept in cold storage when you are not using it. The best way to store your fur is to find a reputable storage center that creates the ideal environment for maintaining your coat. The storage center must not have too much humidity or it might strip the fur of natural oils that keep it feeling soft and smooth. The best storage centers do not have a lot direct sunlight. You should not store your fur in a plastic garment bag or it might become stiff. You should have your fur cleaned about once a year by a certified professional to get rid of any dirt or grime that might affect its aesthetic appeal and its texture. Even if you cannot visibly see dirt, there are small particles that could eventually make the fur feel rough to the touch. You should use a broad-shoulder hangar when keeping the coat in your closet or you could change the shape. You should never keep mothballs in the same closet as your fur or they could cause permanent damage to the coat. Try to spray perfume, cologne, or hairspray before you put on the coat so the chemicals do not affect the texture. If you notice any small holes or tears on your coat, it is important to get them repaired as soon as possible. These small issues could quickly turn into large problems if you do not get the proper treatment. You might also notice small bald spots. 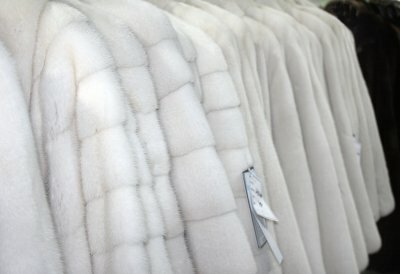 Always turn to a reputable fur dealer and repair shop to fix these problems so you can get the best results. Classic fur coats are always in style. If you are looking for an addition to your wardrobe that you can continue to wear for many seasons, you should set your sights on the traditional fur coat styles. The stroller coat is a longer style that helps keep you warm through the most brutal winters. Three-quarter length coats tend to hang to the middle of the calf and the seven-eighths length falls to the knee. The greatcoat is very long and sometimes reaches all the way to the ankle. Greatcoats are typically reserved for more formal occasions. If you really want to buy a classic fur coat, you should also find a color that works with a wide range of wardrobe options. This ensures that you can continue to wear your fur coat in Chicago throughout a variety of seasons. Take your time choosing a fur style that helps you stay warm and add new depth and texture to your entire wardrobe. There are a variety of different furs that provide different aesthetic and texture benefits. Mink fur is known for being one of the softest, lightest furs available and can be found in both formal and casual styles. Rabbit fur is also soft, beautiful and fits into a wider range of budgets. Fox fur is long, soft, and thick, which helps you stay warm through the coldest Chicago winters. Beaver fur is often available in a larger range of colors to help you complement your wardrobe. You can also choose between raccoon, chinchilla, lynx, coyote, and lamb fur. Decide on the kind of fur you want before you start shopping for coats. You can find fur coats in any kind of style. Whether you want a casual coat that you can wear every day or a more formal piece to add to your wardrobe, there are great fur options in every style. If you are more concerned about staying warm, you should focus on the longer styles. If you are more interested in style, though, you might want to look at shorter coats. The color of your fur coat changes its aesthetic appeal. If you want to buy a coat that will stay in style through the decades, try to choose a neutral color that complements your own skin, hair, and eye coloring. You can also find plenty of dyed hues that add a stylish appeal to your coat and offer a trendier appeal. Try on a few different kinds of furs to see how the textures feel. Whether you are choosing a fur for style or for comfort, it is important to enjoy the way the material feels so you can get the most use out of your new fur coat in Chicago.